Our vision is to offer you a better way to ship freight, the best way — easy, best priced, accessible and green. That's how FREIGHTERA was created, a 5-star B2B freight service now trusted by over 9,000 manufacturers, wholesalers, distributors and other businesses shipping freight in the US, Canada and US-Canada cross-border. 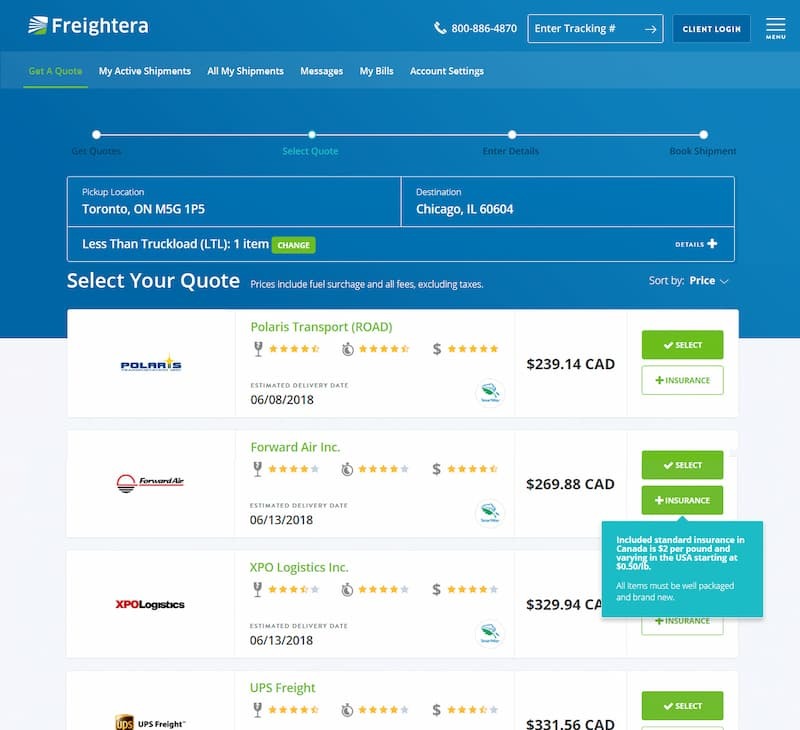 Vancouver, BC company, Freightera offers FREE cloud-based B2B online freight marketplace with 100s of reliable LTL & truckload carriers, where you can search and compare instant all-inclusive freight quotes & book shipments online 24/7. It is also the greener way to go. More efficient shipping means lower energy use and carbon output. When it comes to people, planet and profit, Freightera helps you run a sustainable business. That way, we all come out ahead. Yes, we may be a little biased, but we think you will love our rates and service just like other happy shippers that gave us awesome reviews. Don't ship anything until you check our prices. It's easy, instant and free. Register today and get unlimited access to exclusive rates from hundreds of carriers. Let the system search over 16 billion freight lanes, and book the deal you want with a click of a button. New to shipping freight? We're here to answer all your questions and hold your hand. Freightera makes freight shipping transparent and easy! These days, it’s easy to book a flight or hotel online – and for shippers, Freightera works the same way. Click here to see how it works. Choose the deal you want! Carrier posts their broker discount rates and extra capacity directly to the public on Freightera's online marketplace. That’s how shippers get better rates. Carriers post last-minute deals as they scramble to fill up trucks delays and cancellations – potentially saving your business a lot of money. Our 9,000+ shippers include manufacturers, wholesalers, importers and distributors who need to ship freight in the most efficient and cost-effective way. It’s difficult for all but the largest companies to negotiate volume discounts on shipping. Freightera levels the playing field. And better yet: your membership is FREE. Carriers in North America need a more efficient and cost-effective way to manage their truck inventory. They want an easy way to find new customers without investing more in sales and marketing. Freightera helps hundreds of carriers with these needs, letting them focus on what they do best: getting freight where it needs to go. Access the best rates from 100s of carriers. Compare prices and book online 24/7! Connect directly with customers who need your truckload & LTL services now! Freightera’s team combines business acumen, technical expertise and a passion for helping customers and creating high impact win-win solutions. Dan Z. Goodwill is a leader and transportation expert with a successful record of accomplishment in profit development, organic business growth, business startups, acquisitions, turnarounds, and cost-saving programs. For over 20 years, Dan held senior executive positions with some of North America’s leading transportation companies. As President of Yellow Freight Canada, and Clarke Logistics, and the VP of Sales at TNT Overland Express he led these companies to record results. For the past fifteen years he has been providing consulting services in the areas of small parcel, LTL, truckload, rail and intermodal transportation to manufacturers, distributors and transportation companies in Canada, the United States, Mexico, and Europe. He co-hosts the Surface Transportation Summit in Toronto. Stephanie Sharp is a finance expert who has advised and led over $17 billion in deals in more than 400 industries worldwide. 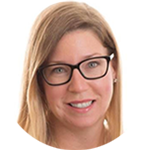 Stephanie balances innovative strategies with practical approaches. Her clients include some of the biggest, most well-known organizations in the world, such as Bank of America, Barrick Gold, BC Hydro, Best Buy, Deloitte, Goldman Sachs, HSBC Bank, and many others. We thank our customers for their business, kind reviews & testimonials! Why did we join Freightera? What keeps us inspired and motivated? – We thought answering this question would be a good way to introduce our team and our company culture. Here are some of the answers. I love working at Freightera because it allows me to think and work at the system level. It allows me to assemble and collaborate with an inspiring group of bright, thoughtful people and solve fundamental problems for the individuals that we work with and the larger society we all influence every day. I am happiest when we have first name based relationships with the people at each business we partner with and serve, allowing us to function as a community and work with each other as whole people. I am also really excited to be involved in the transition to low and zero emission freight shipping, and help create and spread a kind, gentle and caring customer culture in this traditionally rough industry. I love working at Freightera because I believe that we are making a difference in the freight industry. It’s challenging and I enjoy solving the challenges with my team, helping each other to learn and improve every day. Freight is very old school and needs a lot of changes from a technology stand point. It’s exciting to see the advances that are coming in automation, shipment tracking and clean tech and to be able to offer them to our customers as soon as we can. I grew up in a city with a lot of air pollution and had asthma as a child, so Freightera’s leadership in green freight has a special place in my heart! I choose to work at Freightera for a few reasons that were very important for me in selecting an employer. The first is company culture. It is great to be part of a team that is set on achieving a goal and building something while adhering to values of respect, fairness, and integrity. It is great to be able to come to work every day knowing that my performance and hard work will contribute directly to the outcome of what we are trying to accomplish. Even more so, it is great coming to work every day believing firmly that what it is we are trying to accomplish, though not necessarily easy, will help our customers and carriers and revolutionize an industry that is far from being as simple and efficient as it needs to be. It is exciting to think that in a few years time we could be seen as the company that rejuvenated this huge outdated industry that we work in. My WHY has to do with innovation, teamwork, and brilliant customer service. When picking up the phone to start new relationships with customers and carriers, there is nothing more motivating than feeling completely confident in the service we offer. My confidence comes from the fact that we offer a unique solution for businesses that saves them major time and major money, and our team is respectful, helpful, and appreciative of one another. Our team is dedicated to exceptional customer service, and it naturally leads to long term relationships with our customers and our partners. Working in such environment is stimulating and rewarding, because I am continuously learning from our customers, our partners, and our team. I am happy to be a part of amazing team with great chemistry and complementary skills. Everyone on our team is open, creative, helpful and super friendly. It excites me that we share our mission of improving lives of people around us: our families, coworkers, partners, and our customers - shippers and carriers. Everyone on Freightera team understands that we are here not to make a quick profit, but to make friends and build relationships with people that rely on us and that we rely on. Our reason for existence is to transform freight from an inefficient and stressful industry into a high-tech and high-satisfaction environment. Our customers are hard-working people on their own important missions. We help them by providing easy to use technology, best value and the most appropriate, respectful and caring customer service possible. We are not just another technology platform. Freightera is a progressive, futuristic company taking social responsibility to people and planet seriously and having fun innovating in everything we do. We have ambitious plans to change the way freight is shipped around the world, dramatically reducing waste and pollution in the industry by using new processes and technologies. I work at Freightera because I am treated with as much care and respect, as an employee, as we provide in our customer service. We are people, not machines, and I have a life outside of work, which Freightera cares about and accommodates in every way possible. I really appreciate Freightera for being able to work online from home. Living in a small community makes work-life much easier in this way and I don't have to commute. I also enjoy working at Freightera because of the small town feel. Even though the company is based in Vancouver and deals with hundreds of customers, carriers, shippers, and receivers, I get to know people on a first name basis and build rapport with them through our work together. Why I work at FREIGHTERA? In one word: RESPECT. Freightera company culture is based on respect. As an employee it is great to feel respected and appreciated. In all our work with the other employees we all have a great deal of appreciation and respect for each other's abilities. Lastly, in all our work with both customers and carriers we strive to have that same respect for everyone we come in contact with. Freightera is designed to link B2B shippers to the most efficient, well run carrier or transportation company for each route or service area. Eric is the CEO and chief architect and system developer. His passion is to work at the intersection of multiple disciplines and technologies, bringing people together to solve complex problems and create win-win solutions that are highly efficient, profitable, and sustainable. He has successfully arranged funding for, designed, engineered, and managed diverse IT projects, ranging from reports to Congress and the President of the US to global websites for international organizations and businesses for 25 years. He is an internationally recognized author and speaker on emissions reduction from freight transport. Eric wrote about “A Green Future for Freight” in the 2016 and 2018 G7 Summit editions of Climate Change: The New Economy and was invited to speak at COP22, the UN Climate Change Conference in Marrakesh. He is the recipient of over 18 grants and awards, including the 2016 Technology Impact Award and 2019 Clean50 Award. His work and Freightera have been featured in Forbes, Fortune, Inc Magazine, and Entrepreneur, among over 300 news sites worldwide. 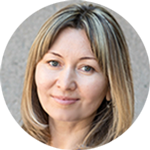 Zhenya is a Web Development, Marketing and Communications expert with over 20 years of experience. Originally trained as a journalist, and after a successful career in the field, she switched to Web Development and Ecommerce where she saw the future was heading. She founded a web design company that helped customers to expand their brands online. Her mission became giving small business the high-end quality and custom ecommerce functionality not usually accessible on small business budgets. At Freightera, Zhenya is responsible for Product, Brand, Marketing Strategy and Communications. She directed the design process that won the "Best Transportation Website" WebAward, 2016 Technology Impact Award, TIA, and received BCTIA Women in Technology 2016 honorable mention. She has an MA in Journalism and the UBC/DAA Award of Achievement in Digital Analytics. 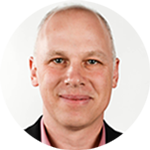 Robert, or Bob as he is affectionately known, is a Strategy Yoda, Leadership and Culture expert. 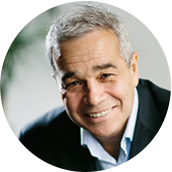 He brings more than 25 years of Executive Business experience in Marketing, Sales, Operations, Business Development and General Management in over 20 countries. Bob has led 22 different start-up and turn-a-round initiatives from concept to success including billion-dollar business turn arounds with over 1,600 employees and five major business acquisition and integration projects. He has held senior executive positions with organizations like TELUS, Dixon Networks, GPG Technical Services, Endurance Wind Power, CEI Architecture, Faronics Corporation, Connex, Zapp Telemobil in Eastern Europe, Ledcor and the Fortune 50 company Vodafone, where he was the Chief Customer Operations Officer. As a keynote speaker passionate about Customer Centric Culture, Strategy, Transformation and Leadership, Bob presented to audiences in 25 countries. 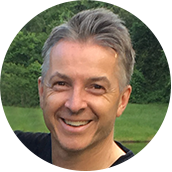 He is the Amazon Number 1 Best Selling Author of “It’s Already Inside” and “Unlocked,” critically acclaimed books on leadership, business, and strategy. Frank is an active investor and successful entrepreneur. He previously served as President & CEO of Xenon Pharmaceuticals Inc., a private genomics-based drug development company, from 1999 to 2003; President & CEO of ID Biomedical Corporation, a vaccine development company sold to GlaxoSmithKline plc., from 1991 to 1998; and a founding director of Angiotech Pharmaceuticals, a TSX/ NASDAQ listed biotechnology company, from 1992 to 1997. Prior to working in biotechnology and healthcare, he was a Vice-President of Investment Banking with Merrill Lynch Canada and Wood Gundy Inc. (now CIBC World Markets). Jackie is a decorated Veteran with the Canadian Forces where she worked in Operations and Training for the Communications Department. After completing her Business and Accounting diplomas from St. Lawrence University, she joined Motherload Transport in 2008. She spent 9 years here expanding the company and training staff in the intricate skills of Freight Brokering. In 2013 she opened the company's Eastern Office and doubled the revenues in less than 2 years. At Freightera, Jackie is valued for her team spirit, leadership skills and diverse set of experience and expertise she brings. She continually provides the best customer service that Freightera is known for and uses her skills gained from her diploma in Supply Chain Management to continue to train our Logistics and Client Care team. 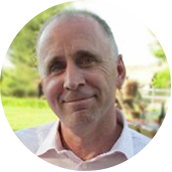 Greg is a Chartered Accountant and senior financial leader with extensive experience at growth-stage enterprises in the public and private sectors. He managed all filings for both the initial US listing of Continental Minerals and IPO of Detour Gold in Canada. Having managed the finances of private high-tech business through 3x revenue growth, Greg is adept at bringing structure, process and internal controls to the finance function. In addition, he contributes an entrepreneurial mindedness to all analysis, strategic planning and negotiating. Greg is experienced at working both in North America and Asia and is fluent in Mandarin. 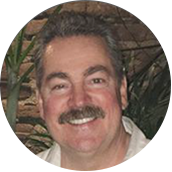 Ross brings over 25 years’ experience in Warehousing and Transportation. He is one of the original Freightera employees and combines his knowledge of the platform with what customers are looking for in their shipping solutions, offering invaluable insight and leadership to our Logistics, Operations and Client Care team. Ross continues to build carrier relationships, manages operations and handles customer retention, creating a smooth customer experience from one person to the next. In his previous employment, he established client programs for existing and new customers, directly managing over 250 accounts, adding approximately 20 to 30 new accounts per year, and generating $6 million in sales in the security packaging industry.